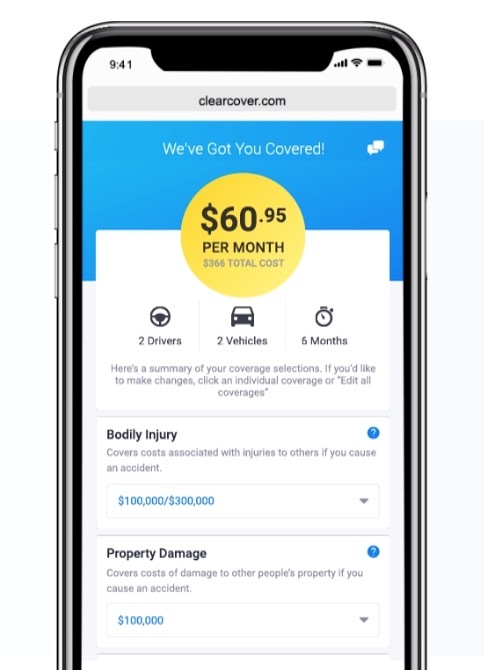 Clearcover, an online car insurance company, has raised $43 million in Series B funding led by media, communications, and automotive services company Cox Enterprises. American Family Ventures, IA Capital Group, Lightbank, and Hyde Park Angels also participated in this round of funding. And Silicon Valley Bank provided debt financing. Clearcover uses a technology-driven approach such as its industry-first API platform to provide affordable car insurance to thousands of drivers since the company launched in California early last year. Since then Clearcover rapidly grew its API platform relationships and sold thousands of policies. And the company has helped drivers collectively save millions of dollars on car insurance. Clearcover has also integrated with a number of distribution partners across automotive, insurance, and financial service companies like Cars.com, Chime, and The Zebra. And the company will be expanding its state footprint and partnerships this year.